GAIA is a special project, very close to my heart, because this soundset is a poetic attempt to celebrate the beauties of our home. Since I was a kid, I've always been fascinated by the documentaries about the wild animals and amazing nature landscapes of all kinds. The sounds of nature like the wind in the trees or birds fot example have always inspired me. So GAIA is aimed at the ambient, organic, wonderful atmospheric kind of sounds with a delicate celestial touch. Enigma and Enya or new age music fans will love them. But as we are also a part of this world, GAIA is also describing some human activities and behaviors especially through the fx and arp & rhythm Cinematic kind of patches: The sounds are then getting harsh dark and aggressive. Patches: > 32 Arp & Rythms > 5 Keyboards > 25 Pads & strings > 16 Fx & Noises > 48 Textures > 10 Human voices. All patches have a wired modwheel and poetic or spiritual notes to make you dream or to meditate. 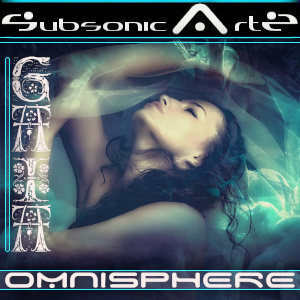 We are brothers, we are one , we are SubsonicArtz.